Sedibelo, with its large, sustainable and relatively shallow resource base, is well-positioned to benefit from any price improvements and remains committed to undertake a public listing when market conditions are more favourable. 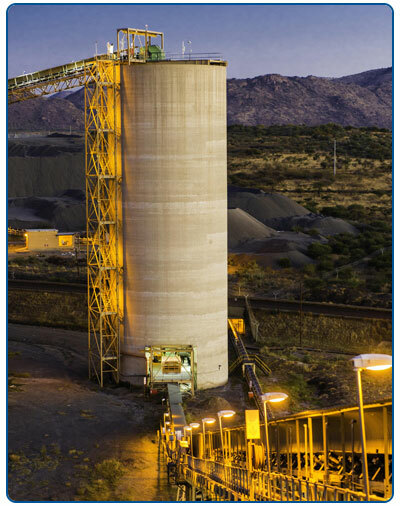 Sedibelo Platinum Mines recorded more than 4.6 million fatality-free shifts. Sedibelo dispatched 133,000 4E PGM ounces during 2017. Working on the establishment of the first Kell PGM beneficiation plant in Southern Africa. In 2007, Gemfields Group Limited (formerly Pallinghurst Resources Limited) (“GGL”) identified three shallow platinum group metals (“PGM” or “PGMs”) deposits north of the Pilanesberg on the Western Limb of the Bushveld Complex (“BC”), which, while individually attractive, could benefit significantly from economies of scale and synergies if combined into a consolidated entity. Pallinghurst assembled a consortium of investors (the “Investors”), including the Group, to invest in this PGM strategy. The Bakgatla Ba Kgafela Tribe (the “Bakgatla”), which already held interests in the deposits, joined the consortium as its Black Economic Empowerment (“BEE”) partner. Over a period of six years, the Investors, including the Group, acquired the Pilanesberg Platinum Mine (“PPM”), Sedibelo and Magazynskraal and in 2012 consolidated them into a single contiguous operation with shallow resources of approximately 70 million 4E PGM (platinum, palladium, rhodium and gold) ounces. Together with its other assets, Sedibelo Platinum Mines Limited (“Sedibelo Platinum Mines”, “Sedibelo” or “SPM”, formerly Platmin Limited) has a total resources base of some 100 million ounces, making it one of the world’s significant PGM asset owners which can extract its shallow resources in a safe and sustainable manner. Following the consolidation, the Industrial Development Corporation (“IDC”) invested the South African rand equivalent of US$400 million in the newly created Sedibelo Platinum Mines. These funds, together with an additional US$65 million invested by international investors, were used to develop the consolidated operations into a “PGM producer for the 21st Century”, with its generally shallow orebodies offering safety and cost benefits. In 2007, GGL (formerly Pallinghurst Resources Limited) identified three shallow PGM deposits north of the Pilanesberg on the Western Limb of the BC which, while individually attractive, could benefit significantly from economies of scale and synergies if combined into a consolidated entity. Pallinghurst assembled a consortium of Pallinghurst Co-Investors, including the Group, to invest in this PGM strategy. The Bakgatla Ba Kgafela Tribe (the “Bakgatla”), which already held interests in the deposits, joined the consortium as its Black Economic Empowerment (“BEE”) partner. Over a period of six years, the Pallinghurst Co-Investors, including the Group, acquired the Pilanesberg Platinum Mine (“PPM”), Sedibelo and Magazynskraal, and in 2012, consolidated them into a single contiguous operation with shallow resources of approximately 70 million 4E PGM (platinum, palladium, rhodium and gold) ounces. Together with its other assets, Sedibelo Platinum Mines Limited (“Sedibelo Platinum Mines”, “Sedibelo” or “SPM”, formerly Platmin Limited) has a total resources base of some 100 million ounces, making one of the world’s significant PGM asset owners, which can extract its shallow resources in a safe and sustainable fashion. Following the consolidation, the Industrial Development Corporation (“IDC”) invested the Rand equivalent of US$400 million into the newly created Sedibelo Platinum Mines. These funds, together with an additional US$65 million invested by international investors, were used to develop the consolidated operations into a “PGM producer for the 21st Century”; its generally shallow orebodies offering safety and cost benefits. One of the world’s significant PGM asset owners. PPM had annual dispatches for 2017 of approximately 133,000 4E PGM ounces, a decrease of 20% compared with 2016. The decrease in production was by design, and is as per the business plan as Sedibelo continues to focus on cash preservation rather than maximising volumes produced. This strategy has enabled Sedibelo to be in a cash flow positive position and is currently operating at a profit, despite the current adverse market conditions for PGMs. Sedibelo successfully completed the construction of a chrome extraction plant that is anticipated to significantly improve its revenue stream. The plant is currently going through its final commissioning and is expected to shortly thereafter begin selling the chrome concentrate. The implementation of the Kell technology continues to move forward. In Zimbabwe, following the presidential change, representatives have met with the relevant new ministers, who remain committed to using Kell to transform the PGM industry. The substantive negotiations on a shareholders agreement with the Zimbabwe Mineral Development Corporation were concluded in November 2017 and KellTech will seek to implement this in 2018 with the new Zimbabwean Government. Globally, KellTech continues to advance discussions for using the Kell technology with several of the world’s largest platinum and gold companies, with confidentiality agreements signed and concentrate samples sent to the Kell pilot plant in Perth. PPM achieved 4.6 million fatality-free shifts by the end of 2017. This reflects a zero tolerance philosophy and supports the notion of Sedibelo being a safe and sustainable PGM producer for the 21st century. Sedibelo maintains and develops local infrastructure, including roads and water supplies, provides mining-related training and development programmes for local community members, and grants scholarships for full-time educational studies. This tangible commitment to, and involvement in, the local community is one of the cornerstones for the successful development of the PGM portfolio. Our PGM investment, a 6% stake in Sedibelo, had its ninth year of production. Due to the continued challenging price environment, the company remains focussed on minimising production costs and on cash preservation. Since its creation in 2012, Sedibelo’s management team has had a firm focus on safety and “no-harm”. As a result, Sedibelo has now achieved a record 4.6 million fatality-free shifts during 2017 – one of the PGM industry’s best safety records. Platinum mining supply is expected to be constrained in the medium-term and with demand likely to remain robust, the market deficit is expected to increase, which should support a stronger platinum price going forward. In the current environment, Sedibelo’s management have developed a five-year plan to enable it to continue to operate for several years at the recent weak prices without having to seek new capital. Sedibelo, with its large, sustainable and relatively shallow resource base, is well-positioned to benefit from any price improvements and remains committed to undertake a public listing when market conditions are more favourable.